School is officially underway, and each year can bring big adjustments for parents and children alike. As a parent myself, gearing up for the school year can be overwhelming. From school supply shopping to scheduling haircuts the last minute “to do’s” can seem endless. When our children transition to a new school year it’s easy to place emphasis on how they look on the outside over who they are on the inside. What would happen if we shifted our focus from the external to the internal health of our children and our relationship with them? What if instead of placing the latest school “must have item” as a priority, our new “to-do” list entailed of ways to communicate encouragement, belief and love to our children? Because more than having all the new things, what they really want is you. To be encouraged and poured into by you. You are the strongest, most important voice in their life. So enter in and speak. 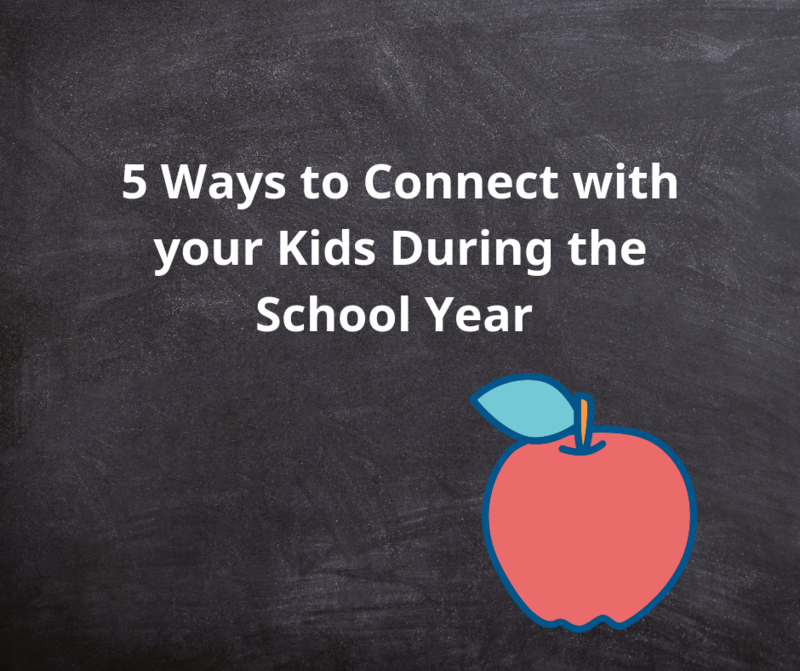 Speak love and tell them, show them, relate to them and ultimately connect with your kids this school year. Picture it with me: After rushing from work to pick your kids up from school, waiting in two different pick-up lines, dragging all of the bags, folders, precious arts and crafts projects inside the door of your home you hear, “Hey, mom. Can I….” I don’t know about you, but in the heat of the moment it doesn’t matter what comes out of their mouths…I’ve already determined my response is, “No!” Can anyone relate? Please don’t mishear me, there are times our response should be no, and yet I find that all too often I’m saying “no” only out of a selfish motive. Here, the challenge is to pick an afternoon where you plan to say “yes” and observe how it impacts your relationship with your child. Say “yes” to letting them get out the messy art materials, “yes” to letting them paint your nails, “yes” to letting them measure out the flour to make cookies. The value in saying “yes” often leads to memory-making opportunities. So, say “yes” and watch their joy as they lead you in play. 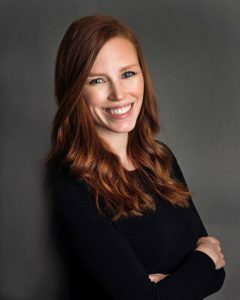 Sometimes, especially after school, I feel the urgency to want to connect with my child and before I know it the unintentional berating of questions begin… “How was school today? What about recess? Did you like your treat I packed for you in your lunch or how about that really sweet note I left you?” After I ask these questions and get a few brief replies, I often feel unsatisfied. As in, that wasn’t quite the connection or response I was looking for. Another tactic is once you’re settled at home and everyone is onto the next thing, sit near your child and unlike my previous example, resist the urge for all the questions. Proximity alone sends a message of, “I enjoy you enough just to be near you” and you’ll be surprised at what conversations/insight into their day come about just because you’re right there next to them. 3. Make the most of mornings and bedtime. Since school takes up the majority of the day, we have the opportunity to make mornings and nighttime memorable. This doesn’t necessarily entail a fancy breakfast or drawing a bubble bath for your kids. In fact, connecting with your children during these times can be quite simple. Greeting them in the morning with a big hug and a cheerful, “Good morning sweetheart!” and leaving them at night with a kiss on the forehead and the words, “I’m so glad you’re my girl or boy” can fill their love tank. However you choose to greet and say goodnight, making a routine with physical touch and an encouraging words helps your child begin and end each day with the assurance that they are seen as precious and valuable by you. 4. Leave room for spontaneity. Today in our society it is easy to see families buzzing about from activity to activity. One of the easiest ways to help grow your relationship with your children is to limit the after school activities. Don’t get me wrong, the sports and clubs can be meaningful, but having a commitment every night of the week stifles relationships. Let’s fight the “to-do’s” together and surprise our children with a zoo trip or ice cream after school. Or better yet, let them take turns choosing an activity of their choice. Prioritizing spontaneous activities with our children communicates that spending time with you is one of the most important ways I can spend my time. This point may be the most important strategy of all. It is impossible for our relationship to grow with our children if we are not being present with them. While practicing the strategies above, turn off the distractions and choose to be in the moment. Sit back and take your child in. Notice the way their hair falls across their face, the way their smile brings about the cutest dimples, listen to the deepness of their laugh and simply enjoy. Delight in who they are and the intricate ways God has made them. As we prepare for school, let’s place our attention on more than our child’s outward appearance. Let’s commit to routine connections so they can be reminded of how amazing they are and how deep our love is for them. I think I have OCD.